The concept of modular self storage has been definitely essential as we entered the millennium. It is a storage service where special containers such as modules are used to store stuff. The modules are then stored in secured facilities or warehouses. Individuals and even business organisations are taking advantage of it in their ventures. While there are already many self storage businesses today, you might wonder how did we come to such a concept? And indeed the industry had such an interesting and remarkable history. And the development of the idea was a real breakthrough. It benefits both the facilities that took it as a business venture and the renters of modular self storage services. At present, there are already over 1000 facilities in Australia. There are many uses of self storage. And it has been a significant solution to storing needs of today. And as competition between storage providers are getting tighter, innovations are being developed to provide the best and the most secure self storage in the market. In this article, we will discuss a part of its history, and the essence of using modules in storing goods. Historical evidence presents the possibility that the concept started in ancient China. That was probably way back 2000 years ago. Instead of the modules that we know today through modular self storage, people back then were using ceramic pots. They’d store jewellery and other important goods, then bury them in underground storage. We might even say that the Egyptians had the same thought on their pyramids, except that they’d store goods with the dead. And will not and at the same time if you will, do not want anyone retrieving the goods at all. British aristocracy later adapted the concept because it was undoubtedly revolutionary. Travel was made accessible by seafaring ships and further development. This leisure was enjoyed by the rich, yet they do not want to risk leaving their treasures unattended, thus they used banks. Banks hired safe locations to store the rich people’s possession till they return from their travels. During mid till late 1800’s, the Bekin brothers founded the first storage business in America. This was to provide solution to immigrants who were trying to find safe storage for their possessions as they settled in America. The brothers used vans pulled by three horses. And they stored stuff on concrete warehouses, a method which they too were the first ones to conceptualise. Later innovations and enhancement to new modular self storage facilities, focused on providing solutions to relative requirements and needs in the industry. Evidently, the use of special containers to store goods is conventional in the industry’s history. And most enterprise in the industry today has adapted the same method. This partly because the method has a certain significance to it. There are several methods of storing. Other self storage services also have these garage storage in their warehouse, where you simply sort your stuff on roll down garage spaces. They’re pretty much popular on reality shows like storage wars. But if you contemplate deeply, you’d begin to realise the practical reasons for using modules as storage containers. Modules are boxes. In an engineering point of view, the geometry of a box or a cube is the perfect shape for storing. It has a sense of stability on it. Even artists agree that the shape creates a sense of equality and conformity. It’s perfect for maximising available space. You can pretty much store anything on it, and you’d maximise more space than using any other shapes. Furthermore, it has a perfect balance. It will not tip over easily. Especially during transportation. It’s smooth and rigid walls are very beneficial too. The smooth sides prevent any damage to your stuff while they are stored, then at the same time keeping a firm hold on them too. Boxes are also easier to sort and pile. You can keep them upright all the time. Ergo, perfect for keeping fragile items from any damage on delivery. One of the main products of modular self storage services is convenience. Whichever may your reason be for storing, all you have to do when you store with us is to fill your modules then give us a call, and we’ll take care of the rest. This should save you the trip to our facility. Not to mention the legwork of sorting your own stuff on your rented space. And you can rest assured that you stuff stay exactly as they were as you packed them. 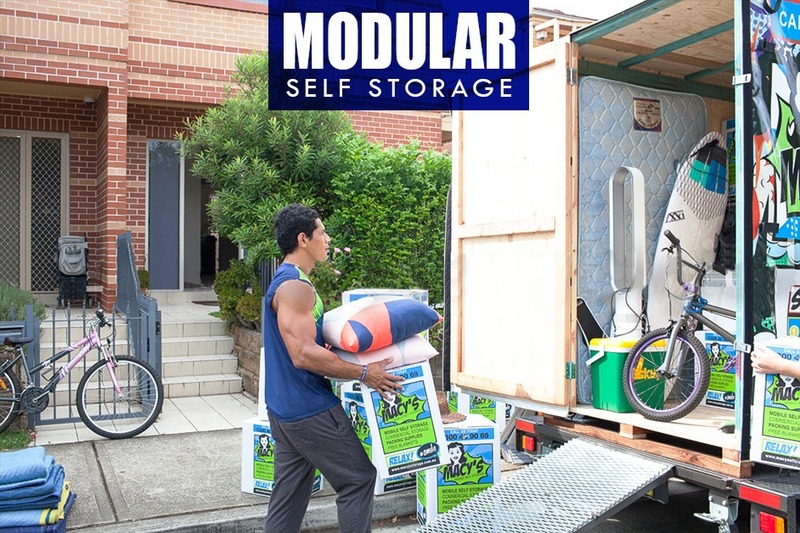 In conclusion, modular self storage is a convenient and practical storage solution for you. The cuboid shape of the modules is a superb innovation. And you don’t need to worry about anything else when you store with us. We are experts in what we do. Contact us for any inquiries on your storage. We are happy to help. This entry was posted in Storage and tagged secure self storage, self storage, self storage box, self storage module.